Credit score is a 3-digit number, that tells a lot about you. Banks and other lenders mostly use it, to decide whether you can be able to repay your loans, and depending on the score, they can either approve or deny you. It usually ranges between 300-850, and you will need a minimum score of at least 600 to be able to get a simple loan. Most lenders may even ask for a higher score, and this will undoubtedly limit you. Having a low credit score is bad for you financially, because it means that lenders cannot trust you, and therefore you may not be able to access good credit, and if you do, they charge very high interest rates. Most people can probably go through their lives with bad credit, but you should know that it is not easy and neither is it cheap. Interest rate is the cost you pay for borrowing a loan. Each loan will have its own unique interest depending on the level of risk attached to the loan. Mortgages, which are normally taken for many years do tend to have lower interest rates compared to say, personal loans. Now, the interest rate is normally directly tied to your credit score. They use this score to calculate how much you shall pay for the loan. 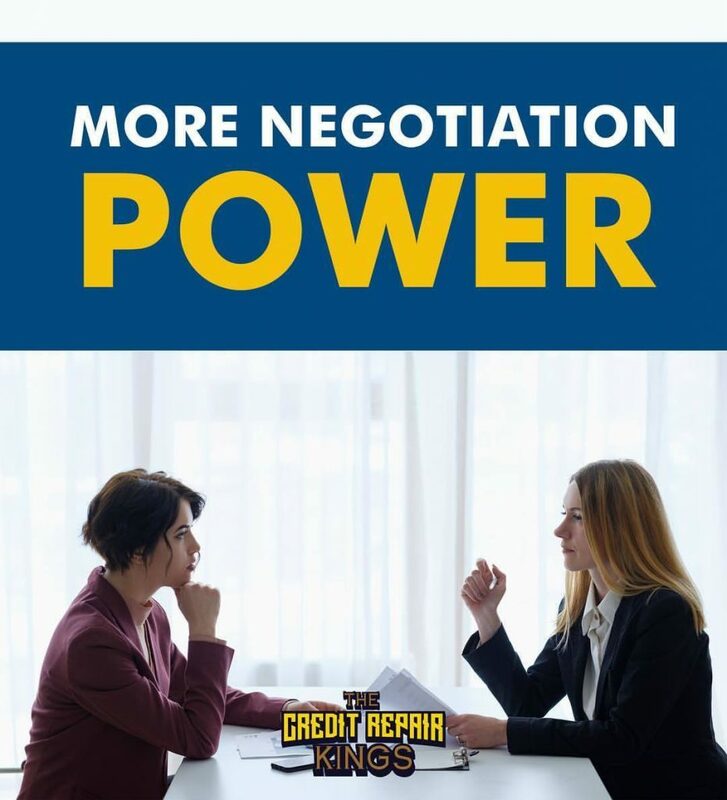 If you have good credit, you will get the best interest rate, which is, of course, the lowest, but, if your credit is bad, then, you will end up paying a much higher interest rate, which is very expensive. Now, the less money you pay regarding interest, the faster you shall be able to clear your loan. But, if you are paying a high-interest rate, then, you will be paying your loan for a much longer time. People with poor credit will mostly avoid applying for a new credit card. This is because, their repayment history can be accessed easily, and if they have bad credit, then their card applications are constantly denied. Having an excellent credit score will not necessarily guarantee approval because there are other factors to consider such as your income and the amount of debt you already have, but it makes it much easier if everything else is okay. What we are saying is that a high credit score will improve the chances of you getting approved for a loan or a new credit card. It will also help in increasing your limit as well. With a high credit score, you have the confidence to negotiate for your interest rates. When applying for loans, there is always the excellent interest rates and the lousy interest rates. When you can show proof that you have been paying your loans well, which is usually through your credit score, then you can be able to engage your lender for the best rates they have. You can also show them other better offers you have received from other lenders. However, if your credit score is low, lenders are less likely to accept this form of negotiation, and they are always unwilling to budge on the interest rates. 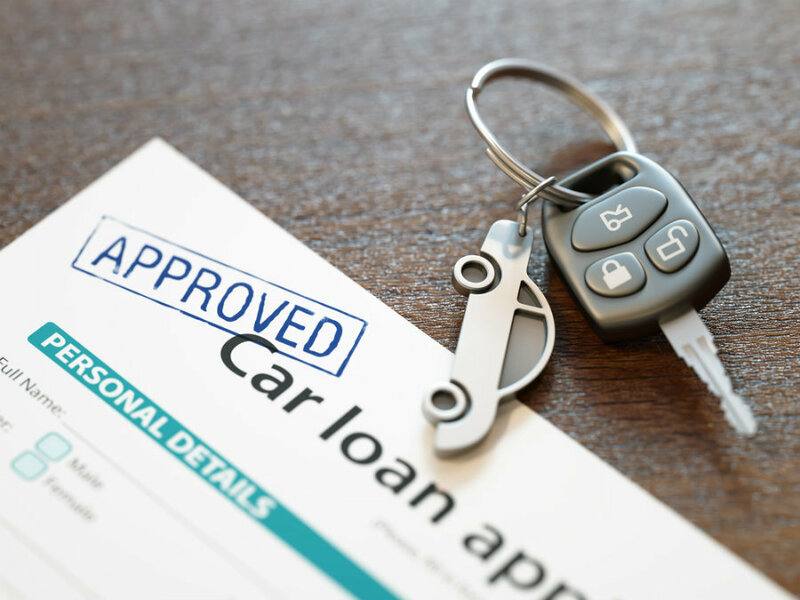 It is also unlikely to find many lenders willing to offer you loans with a low score, so, you may end up taking what is offered to you, which is always high, as they believe they are doing you a huge favor. Your borrowing ability is tied to your credit score and your income. Your income is, of course, significant because it will show your capacity to borrow, but, if you have a high income, and a bad credit score, it doesn’t do much for you. What your credit score does is to tell your financial history, and most importantly, your ability to repay loans. This is why banks are unwilling to lend to people with a low credit score. Now, if you have been able to demonstrate that you can repay your loans on time by having a high credit score, then, the next lender will be willing to even increase your loan limit from the previous loan you may have borrowed. While some lenders may still be willing to lend to people with low credit, the amount cannot be compared to what they would give someone with a higher score. Yes. You read that right. When you have a good credit score, it is something to feel good about, especially if you have had to work hard to move it from bad to good. You get faster approval on rental houses and apartments. You get better car insurance rates. You can be able to get a cellphone on contract without necessarily having to pay any security deposit. You will avoid the security deposits on utilities. 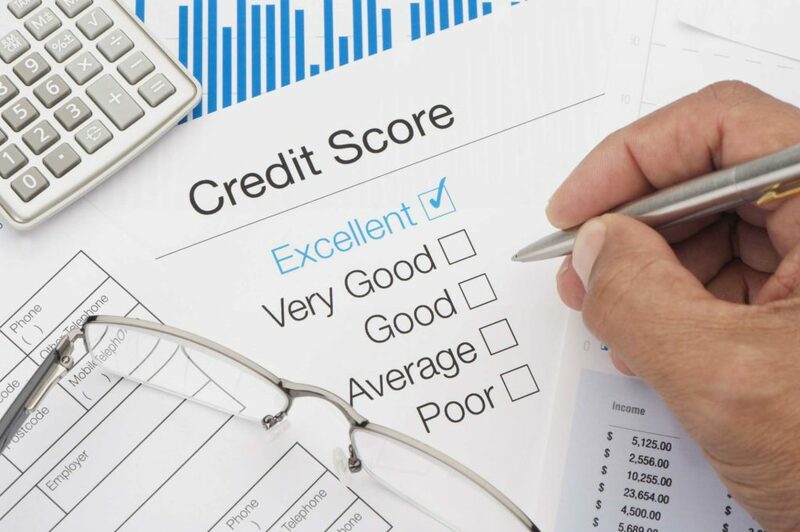 So, what is a good credit score and how can you get it? As mentioned earlier, credit score is usually measured between 300-850. 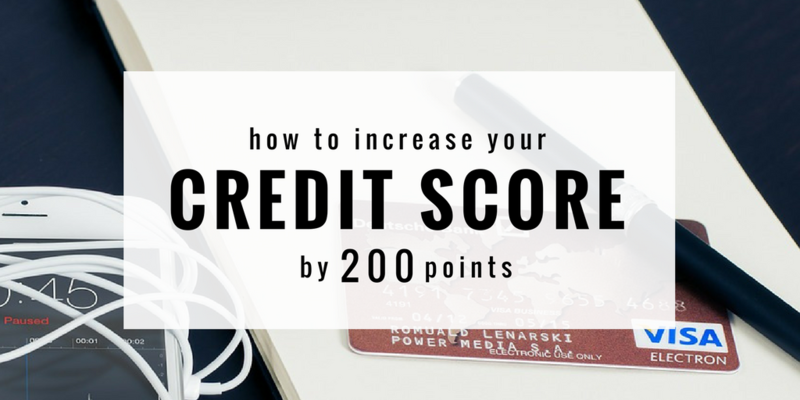 If your score is 700 and above, then you are considered to have a good credit score. Anything that is above 800 is considered to be excellent. Most people, however, range between 600-750. Higher scores mean that you have been making great credit decisions, and this will make creditors trust you more because it means that you will be able to repay your future loans well and on time. Most lenders such as banks will use your credit score to determine whether to extend credit to you or not. They also use this to define the terms of the loan. Now, there are many types of credit scores, but the FICO Scores and scores by Vantage are the most common. This is a well-known credit score that was created by Fair Isaac Corporation. It normally ranges from 300 to 850. Generally, a FICO score that is above 670 is considered good, while one that is above 800 is exceptional. This was developed by three main credit bureaus namely; Equifax, Experian, and TransUnion. It also uses a similar range as the FICO which is 300-850. 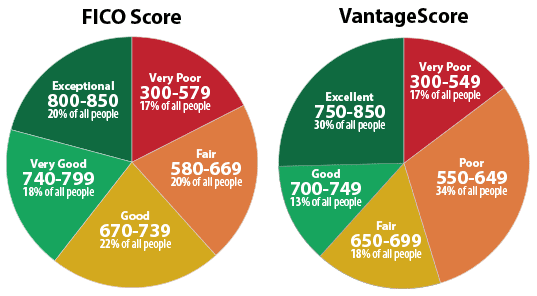 A Vantage Score that is above 700 is what is considered good, while anything above 750 is considered to be excellent. Raising your credit score may not be easy, but it can be done. You can actually be able to raise your score by up to 200 points. This, however, will not happen in a matter of months. It needs time and a lot of patience to do. If you have money at hand to pay off all your debts, that would be great, but the reason why you are in this problem in the first place is probably due to a low income. The first thing you need to do is get a copy of your credit report, so you can be able to know whether it is high or low, and the reason behind the rating. A credit report is a comprehensive summary of your financial stability. It is prepared by credit bureaus and can be used by employers or lenders to analyze you financially. This report may contain some payments or transactions you may have already forgotten about or some transactions you never even made. Go through it and look for areas of discrepancies, such as your name, address, etc. Look out for fraud alerts, which you will find below your name and address. Review your credit score: There will be three different scores from each of the credit bureaus. Now, a score of 750 and above is good, between 720-750 is an above average score, 660-720 is just acceptable, 620-660 is uncertain, and below 620 is a bad credit score. Now, if you find some discrepancies in your credit report, you have a right to report this to the reporting agency. You may not win this battle but, they will launch an investigation, and if they refuse to change the information, you can request them to record that you had a dispute. Bills can be a headache if not taken care of. Always ensure you have a bill payment system. The best way to take care of bills is to have them automated, which ensures that they will be paid on time. If your credit report shows bills that have not been paid, prioritize and pay these immediately so they can be removed from your credit report. Contact the creditors and ask them if they will be able to remove those debts from your report if you pay them in full. Next, pay your credit card balances. The balance you carry on your credit card will determine your credit score and also your debt-to-income ratio. Both of these affect your ability to acquire a loan when you need it. Point to note: For the bills which are hard to automate, include them in your monthly budget and settle them as soon as you have funds. This will avoid accumulation and procrastination. You can also set up a regular time for payment of all bills, e.g., the first day of the month, once a week, once every two weeks, etc. Let me explain this; Say you have three credit cards, and each has a limit of about $10,000, and you have maxed out the first two, but the third one is at $6,000. This means that the first two are at 100% utilization while the third one is at 60%. That you are not earning enough to pay your bills. That you are irresponsible with money. That you have gotten in over your head and are in a mess. You are making bad decisions. It doesn’t really matter whether this is true or not. It just doesn’t look good, and the quicker you pay off your credit card debts, the higher your credit score will be. People who cut up their credit cards when in a financial crisis are incredibly wise. This is because getting rid of credit cards is very difficult. Now, once you have dared to get rid of what got you into trouble in the first place, it is about time you started to learn from your mistakes and look for a way out of the mess you are in. The bad news is that at this point, you may not find a bank that will be willing to give you a credit card based on your score and history, but do not worry about it, if you are keen on repairing your score, it’s only a matter of time before you are good enough to get a brand new card. In the meantime, what you should do is a get what we call a booster card or a secure credit card. This is how it works; You apply for a credit card with a limit of say $500 but, you actually put up the 500 dollars as a guarantee to the bank that if you max out the card, it will still be paid in full. Now, remember the goal: Keeping your utilization rate low. If you keep it at less than 30%, it means that you will be spending a total of $150 each month to pay your bills. If you do this for a while, it will increase your credit score, and before long you will be eligible for an unsecured card. A credit score consultant merely is someone who helps you rebuild your credit score. Of course, their services are offered at a cost, but they can help you to figure out the steps you need to make in order to manage your finances. Over time, if you follow their steps, you will be able to increase your score by even more than 200 points. Finally, a new year provides us with an opportunity to start afresh. It is an excellent time to make brand new goals and plan for the future. One of your New Year resolutions should be financial management. This just means that you need to be smarter than you were last year, make more money than you did before, and become more conversant with money issues. Stop relying on your bank or financial planner to do it for you. Calculate your net worth: You need first to understand what you are worth before you can undertake a financial management plan.This will also help you figure out exactly where you are at financially. A list of what you own and what you owe will comprise your net worth. Calculate this in 3 simple steps:Step 1: List down all your assets. This will include the monetary value of what you own, e.g. Money in all the bank accounts, the value of your investments, your car’s value, the current value of your home, the value of your business interests, property value including jewelry, furniture, and any art, the cash value of any insurance policies you may have taken, etc. Add this up and get a monetary figure for all your assets.Step 2: List down all your liabilities: Liabilities refers to what you owe. This will include all types of loans such as your mortgage, student loans, credit cards, car loan, etc. Add it all up.Step3: Subtract the liabilities from the assets. This is your net worth. Cash flows and budgeting: Once you analyze your net worth, it is time to look at the system you have in place. How much money do you save compared to what you are making on a monthly basis? What are your expenses? The trick to controlling your spending is budgeting.You will need to make a list of all your monthly expenses, against your income, and always ensure that you have allocated some funds to your savings account.Saving can be difficult, especially if it is not something you are used to. You should purpose to save 10% of your earnings to start with, or as little as $100 per month if you find it hard to save 10%. Then gradually increase this figure month by month. In the end, you will find yourself saving up to 20%.A saving account is merely an emergency fund that should support you for 3-6 months in case of anything. Closing inactive/dormant accounts: Managing your finances will also include consolidation of your assets. This just means that; to avoid paying fees on accounts that are inactive, it is wiser to close them and consolidate them into one or two accounts.The inactive back account could also create an avenue for thieves to steal your identity. Proper filing system: As seen above, some of these credit bureaus will sometimes get things wrong. 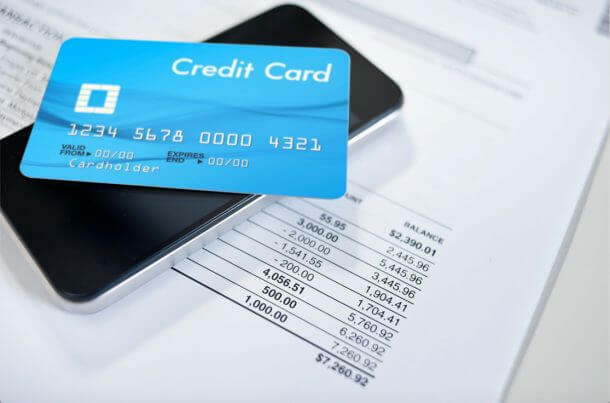 When you have an appropriate method of filing, you will always have proof in case there are some inconsistencies in your credit report.You probably have many different kinds of documents such as receipts, invoices, ATM slips, bank statements, etc. lying around everywhere in your house, maybe in a drawer or a box.You will need to be more organized. Setting up a home filing system is easy. Follow the following steps. Identify the important documents that you still want to keep such as important receipts, payslips, rent receipts, invoices, bills, etc., and keep them in one pile. Get another pile for what you do not need, like old documents, statements, etc. that you can shred or dispose of. The next step is to set up an archive. These are the most important documents that must be kept safely. Title deeds for your home, properties, etc. Other relevant documents such as; Marriage certificate, birth certificates, educational certificates, social security cards, etc. Finally, buy a filing cabinet and file each category of documents individually and label them clearly for easier retrieval. Having a plan is easy, but following through is hard. The above points only give you an idea of how to take control. It’s never too late. Forget the mistakes of yesteryears and start now while the year is still young so that by the time the clock reads midnight on December 31st you will be proud of what you have achieved. Taking control of your investments may be easier said than done, but you can always request the services of a professional, who will analyze all this for you, and help you, make the right investment decisions that will give you maximum returns. The most important point to bear in mind is to aim at reducing your expenses and increasing your savings. Having a safety net will ensure that your family is taken care of in case of an emergency. Another important point to note is that; you need to be very patient. It probably took you years to mess up your credit score, so, do not expect it to be sorted in a day or two. It will take time, and if you are persistent and diligent, you will probably get there sooner than you think.